Swedish Olympian who won three gold medals in the Olympics for freestyle javelin and javelin throw, winning in 1908 and 1912. He won his first gold medal at the 1906 Intercalated Games. 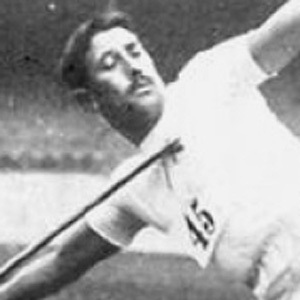 He competed in the 1900 Olympics, finishing fourth place in both the high jump and pole vault. He was the son of Milton and Bessie Lemming. He took gold at the 1912 Olympics where Jim Thorpe won both the pentathlon and decathlon.